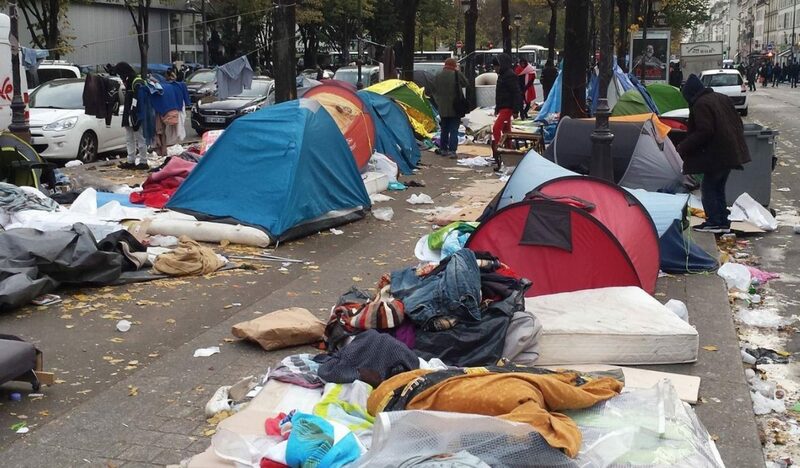 As winter draws in we are getting increasingly worried about the growing numbers of refugees sleeping rough in Paris. Although this month we saw The Centre at la Chappelle open, the rising numbers of new arrivals means the centre can’t cope with the demand. They can only hold 400 people and people are only allowed to stay for a maximum of 10 days. People are left with little choice but to sleep on the street. We are now seeing around 70 new arrivals every week and we expect these numbers to increase as Christmas draws near. We are working closely with our friends at the Paris Refugee Ground Support and other groups and, as temperatures drop, they are in urgent need of vital supplies to keep people warm. -Small tents – we have run out! -Phones and sim cards any amount.